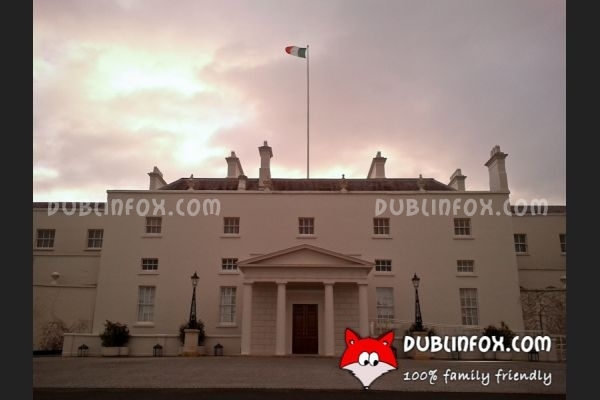 Aras an Uachtarain is the residence of the president of Ireland. 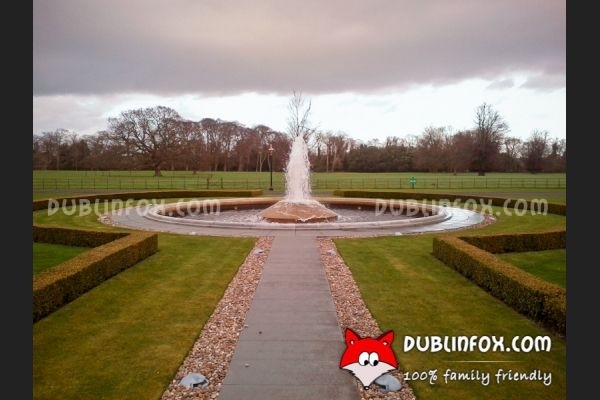 It is located in Phoenix Park and can be visited for free on each Saturday of the year. (However, check the website, because occassionally the residence might be closed.) If you want to explore this beautiful building, you can get your ticket in the Visitor Centre on a first-come, first-served basis on Saturday mornings. The tours start from the Visitor Centre and take about one hour, so if you think that your baby / child is not patient enough to enjoy a (longish) guided tour, wait a few years or return alone if you wish to see this gorgeous place. (From the Visitor Centre, a mini bus is taking you to the residence, so if you want to join the tour with a young baby, ask the driver what to do with his / her buggy - it might not fit into the mini bus.) Guided tours are between 10.30 and 15.30. Click here to open Aras an Uachtarain's website in a new window.